The Sending Love Project is about honouring those we care about and to take a moment to let them know. Jester House has dedicated the month of February to creating a space for people to connect with those they love but may not have told recently. 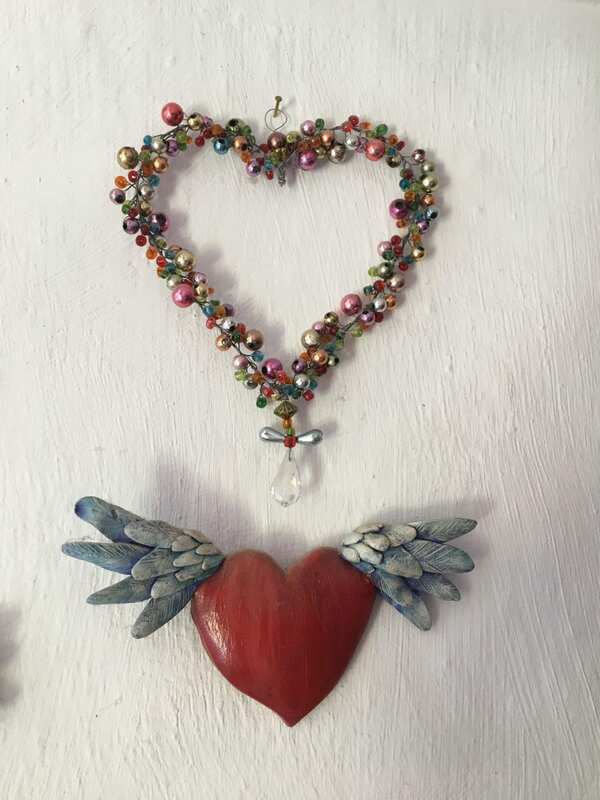 13 artists, both local and international, were given the Sending Love Brief to create an art piece to express what Sending Love means to them. 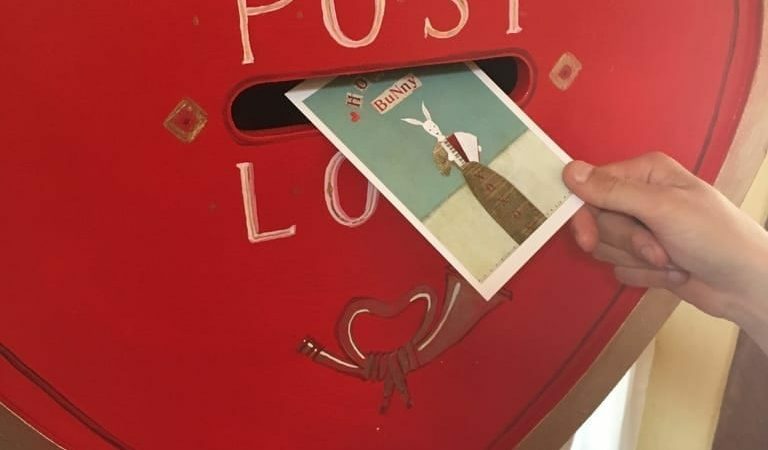 The original art pieces they created have been scanned and reduced to a postcard size so that they can share their version of Sending Love with the world. The postcards of the original art works will be for sale. Our guests can send a message of love to someone important in their lives, and to bring more expressions of love into the community. 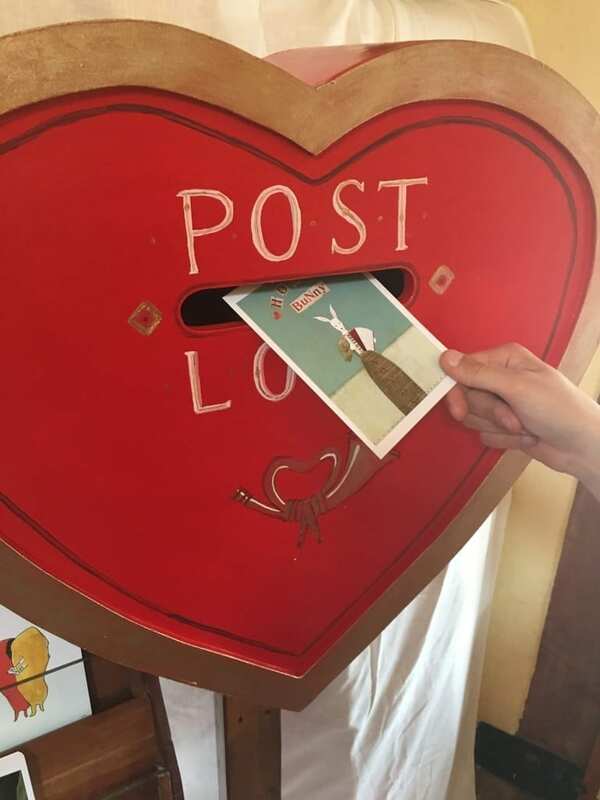 Along with the 13 postcards to choose from, stamps will be available and an especially designed Sending Love Postbox at Jester House will provide for ease of sending a message of love. Our aim is to send 500 messages of love into the world and to date 299 have been sent. With 10 days to go we hope to reach this target. Come into the cafe anytime from 9am to 5pm and send your Message of Love and make someones day.